From 1942 to 1945, Sonia Reich, a pre-adolescent Jew, was on the run. Orphaned and alone, she fought to keep herself alive while the majority of her extended family was executed in the Holocaust. When World War II ended, Sonia came to the United States, married a Holocaust survivor and built what her son, Howard, calls “the American Dream": a long marriage, children and grandchildren who went to college, a house without a mortgage, a car, and an extended life. From the outside, it seemed that Sonia had escaped the camps. On the inside, however, she struggled with undetected symptoms of Post-Traumatic Stress Disorder (PTSD). During childhood, Howard didn't label his mother's behavior as odd. Looking back on it now, he says, “As we grow up, 'norm' is what our parents do. I thought nothing of the fact that my mother was up all night, every night sitting on the floor of our darkened living room, looking out the window, keeping a kind of vigil, and checking the locks constantly to make sure no one could get in. I just thought that's what all moms did." Since Sonia maintained the home, prepared meals, got the children to school, and lived a functional life, Howard never realized that she was working very hard to suppress PTSD. This all changed one night in 2001, when he received a call relaying the news that Sonia had been picked up by police after running out of her house screaming that someone was trying to kill her. It took a full year of medical and psychological examinations to discover what caused Sonia's strange behavior. After becoming a widow at the age of sixty-nine, Sonia had developed what doctors call “delayed-onset" PTSD, which occurs when symptoms arise more than six months after a traumatic event. While it isn't commonly recognized, delayed-onset PTSD isn't a rare occurrence—in fact, it makes up about 25 percent of PTSD cases. Routinely seen in the older generation, this diagnosis often appears in survivors who may be managing PTSD tendencies until a newly traumatic event (e.g. the death of a spouse) activates a trauma from earlier in one's life. “The past and present are totally intermingled in her consciousness and she can't separate them. The traumas that she spent so much time trying to suppress to successfully carry on, she can't suppress anymore and she can't be successful in running her life," Howard explains of his mother, who is now cared for in a nursing home near Howard's home. The ability of Holocaust survivors to live a meaningful life is a testament of the human spirit. The ability of Holocaust survivors and their families to move on to live fulfilling and meaningful lives—despite the hardships they have faced—is a testament to the resiliency of the human spirit. Yael Danieli, psychologist, victimologist, traumatologist, and the director of the Group Project for Holocaust Survivors and their Children, has extensively studied the ways Holocaust families have rebuilt functional lives after traumatic pasts. Some victimize themselves, others take on defensive mindsets, while others numb themselves to feel protected. Ultimately, however, everyone has the power to give meaning to his or her experiences. Ultimately, however, everyone has the power to give meaning, to his or her experiences. “You give meaning to things on a daily basis. One way to give meaning to your survivorship is to apply your own lessons and your own rays of hope to others. For example, by sharing what you've learned from your experiences and offering ideas that might help someone else. The mere fact of sharing also shows trust, that you have enough trust in others to give and receive." says Danieli. Once your story as a survivor is shared, it takes on a new life and new meaning. Having a sense of purpose is vital to creating meaning in one's life. This is especially true for resilient survivors of traumatic events like the Holocaust. Establishing a personal objective, a central mission, and a focus for life, aids in propelling individuals forward toward their goals, instead of dwelling on the past. Resilience is activated through purpose. Rabbi Marcelo Bronstein of B'nai Jeshurun Synagogue in New York City links purpose to that all-important post-trauma necessity: resilience. “Resilience is activated through purpose. We all look for purpose and connections in life. That's not given by money, status, or success, but by people—by love, by connection, and a sense of mission." While purpose can be a personal commitment to survival, it can also incorporate a vision for meaningfully contributing to the world. One of the most debilitating effects of PTSD is a sense of disconnection. The stigma of PTSD symptoms—including a withdrawal from life, relationships, and activities—can be immensely isolating for survivors. Because engaging in community is essential to psychological health, building a life of meaning must include connection. Elihu Kover, Vice President of Nazi Victim Services at Selfhelp Community Services, witnesses the power of community every week at Selfhelp Community Services social events that are designed exclusively for Holocaust survivors. Building a life of meaning must include connection. Serving over 5,000 Holocaust survivors in the New York City area alone, Kover knows first-hand how important community is for those who experience and re-experience their trauma. “Clients feel so alone. They are older and don't have people who remember or understand what they do. We bring them together and they feel part of a community. [They have a chance to] meet people who speak their language, both literally in terms of nationality and also the language of survivors," notes Kover. Through the powerful connection of community, survivors are able to secure their personal identity in the context of the larger world. As the survivor community dwindles, it's up to their families, the Jewish community and its supporters, to extend the process that their parents, peers, and loved ones began: thriving over and beyond the traumatic effects of the Holocaust. Paths to healing are different for everybody. 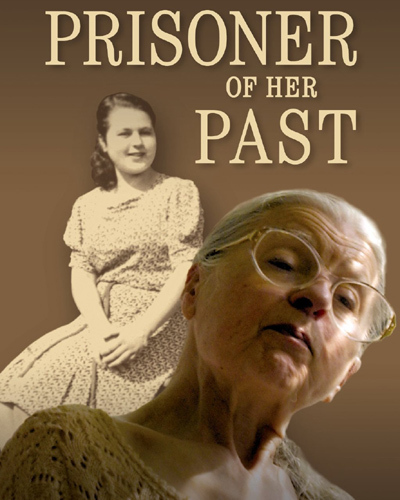 Sometimes, it happens through storytelling, as Howard Reich did in his book and film about Sonia's Holocaust and PTSD experience, Prisoner of Her Past. “I just feel compelled to tell the story," Howard says. “There's not one screening we have of this film where one or two people don't come up to me and say, 'My uncle is acting like that. My grandfather is acting like that.' And the reason that's important is because when this happened to my mother, I was totally in the dark. The goal of this whole project was to enlighten everyone, especially doctors and medical professionals, that just because you're old and having mental problems doesn't mean you're having [a] delusional disorder, or Alzheimer's, or any form of dementia. It could be something as specific as PTSD." Filmmaker, Myriam Abramowicz, has also taken this mission of remembrance to heart. 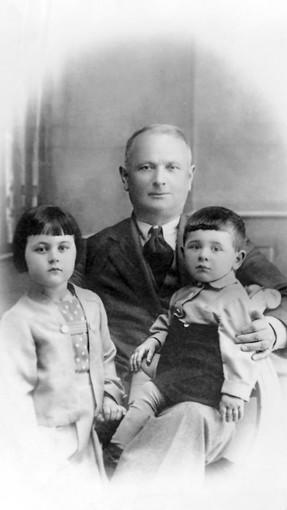 The daughter of Holocaust survivors, Abramowicz founded The Hearing and the Reading of the Names at B'nai Jeshurun in 1995, an event that remembers those who were affected by the Holocaust. On Yom HaShoah, a Jewish religious holiday that commemorates the Jews who perished in the Holocaust, members of the Jewish community of New York City meet in a local synagogue (this year the event returns to its original home, B'nai Jeshurun) to read names of those who were lost. Abramowicz explains that she wanted to create a public experience to honor the memory of those murdered in the camps. “When you read a name, you are reawakening that name; that's the meaning of hearing and repeating the name. That you awaken it, you give it a person again; you give it an identity again." The Holocaust is one example of a large-scale, community-oriented traumatic event. Sadly, it's not the only one. However, the ability of Holocaust survivors and their families to move on to live fulfilling and meaningful lives—despite the hardships they have faced—is a testament to the resiliency of the human spirit. Even those elderly Holocaust survivors who struggle with symptoms of PTSD are, in a way, expressing enormous resilience. They are attempting to recover from a difficulty and develop a certain toughness. As Reich notes, however, “The irony here is that the same steely resolve that got [my mother] through the war and got her through the decades after the war now prevents her from being treated because she's so convinced that people are trying to kill her that she will not let any doctor talk to her, she will not take any medications—any of the antipsychotic drugs that are available—that might or might not help her. She has just built a gigantic wall around herself and she's sticking to it." As human beings we live according to deeply ingrained patterns—some that support our well-being and others that hinder it. In extreme cases of PTSD (like Sonia's) the patterns for survival become the very processes that threaten the survival they seek to create. All of this, of course, is driven by intense and long-lasting fear. “We all have fear," oberves Rabbi Bronstein. “[One must] decide, 'I'm not going to be controlled by fear.' Not to be controlled by this threatened feeling and to try to find meaning." Following Bronstein's advice is a daily challenge. However deeply embedded fear patterns are (including instinctual PTSD survival-oriented responses), they can often be interrupted and even broken. Every day, each of us is faced with the private choice to live a life that matters and to tip the balance of our experiences towards goodness and a life of fearlessness. Although the Holocaust ended nearly 70 years ago, the effects of this traumatic and devastating tragedy still linger and reverberate within the Jewish community today. While Yom HaShoah is a time for the whole world to take a moment to remember the loss of millions of lives, this act of remembering is a daily, constant ritual for many survivors and their families who live on in our midst. Through their strength in community, connection, and purpose, they choose every day to move beyond their trauma—to surpass their victimhood and emerge as survivors. Each of us is faced with the private choice to live a life that matters. Every day, each of us is faced with the private choice to live a life that matters. 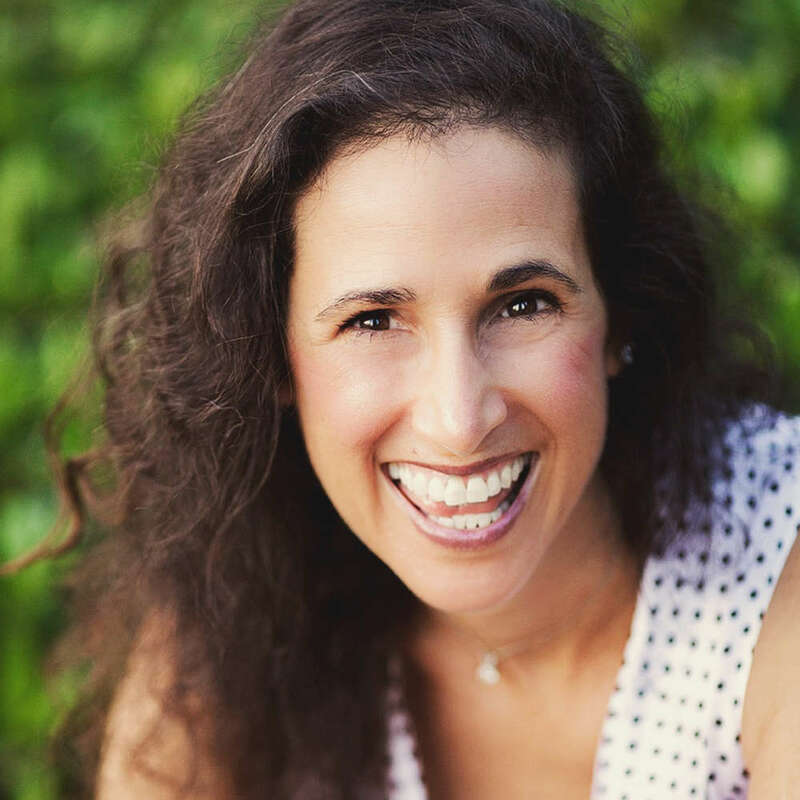 Michele Rosenthal is a respected author, blogger, founder of HealMyPTSD.com, post-trauma coach, and host of Changing Direction radio. In her book, Your Life After Trauma: Powerful Practices to Reclaim Your Identity (W. W. Norton), Rosenthal uses her personal experience with trauma to steer readers beyond their PTSD to reclaim their identity and live a meaningful life. Your Life After Trauma: Powerful Practices to Reclaim Your Identity (W. W. Norton) is a powerful guide for getting past trauma and taking back your life. For those who struggle with PTSD or have a loved one who does, this heartfelt book uses self-assessments, easy-to-grasp concepts, and step-by-step exercises to help individuals connect with themselves again. Deemed "life-saving" and "vital" by experts and critics alike, the stories and advice in this manuscript are recommended for anyone dealing with trauma.